In Florida, you may be given a traffic ticket for a large number of possible offenses, each with different potential punishments. Most of the time, Florida traffic fines will be levied against you if you receive a ticket. This guide can help you to understand the kind of Florida traffic fines that you will be subject to if you commit several common offenses. It is important to remember that officer and judicial discretion can make a large impact on how much your Florida traffic fines are. However, this guide can give you a rough idea of how much you will owe and other ways your traffic offense may impact your ability to continue driving. Refer to your own municipality's schedule of Florida traffic fines if you want the most recent local information in your area. Most Florida traffic fines are assessed for civil infractions. This is the kind of ticket most people will probably receive at some time in their life—you will need to pay Florida traffic fines and have points assessed on your license, but you will not face very high fines or jail time if you are only ticketed for a civil infraction. Other, more serious kinds of traffic offenses, however, may be misdemeanors rather than civil infractions. If you have been charged with a misdemeanor, you can still have Florida traffic fines assessed, but you can also go to jail. Serving time in jail is much more likely for traffic offenders who have committed several offenses in a short period of time, or who have caused an accident or endangered pedestrians or other drivers. 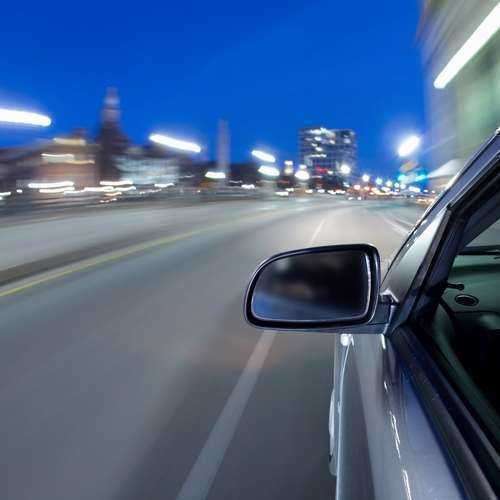 It can be all too easy to speed on the highway, but if you're caught in the state of Florida, don't expect to get away cheaply. Even for first-time speeding offenders, Florida traffic fines can be around $250. This number will go up steeply with additional offenses, and you are much more likely to have your license suspended if you continue to speed after receiving multiple tickets. You will also be assessed double Florida traffic fines if you speed in a work zone where construction workers are present. If you are perceived by a police officer to be driving recklessly, expect a big jump in your Florida traffic fines—up to $500—and a license suspension of up to 30 days. Unlike many states, Florida will not jail a first-time offender who is accused of reckless driving, but additional offenses are misdemeanors that can land you in jail. The first time you drive with a suspended license in Florida, you will be assessed with Florida traffic fines of $500. The fines increase to $1000 and $5000 for your second and third violations. While your first offense is a misdemeanor punishable by jail time of up to one year (this is likely to be significantly lower if it's your first time in court), subsequent offenses may even be charged as felonies, carrying penalties of up to 5 years in state prison on top of your Florida traffic fines.